UnitedHealthcare provides a full spectrum of consumer-oriented health benefit plans and services to individuals, public sector employers and businesses of all sizes, including more than half of the Fortune 100 companies. The company organizes access to quality, affordable health care services on behalf of more than 25 million individual consumers, contracting directly with more than 580,000 physicians and care professionals and 4,900 hospitals to offer them broad, convenient access to services nationwide. UnitedHealthcare is one of the businesses of UnitedHealth Group (NYSE: UNH), a diversified Fortune 500 health and well-being company. UnitedHealthcare Choice is an "open access" health care plan. Your employees can choose any provider they'd like to see in the UnitedHealthcare national network. There are over 606,000 physicians and health care professionals and 5,015 hospitals nationwide. Members must stay in the network to receive benefits. They have the freedom to choose their physician or specialist without visiting a "primary care physician" for a referral. Choice Plus offers the same key benefits as Choice, including providing members with access to an expansive network of providers. The primary difference between the two plans is that Choice Plus offers members a level of benefits should they choose to seek care outside the network, normally at a higher coinsurance and/or deductible level. Like Choice, Choice Plus does not require members to designate a “primary care physician” to coordinate care, nor are specialist referrals required for eligible services. 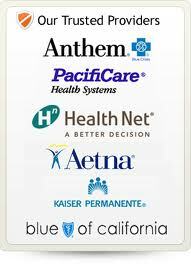 From the start, the DefinitySM Consumer Driven Health Plans have advanced the consumerism revolution in health care. UnitedHealthcare, continues to focus on and drive innovation designed to improve the consumer experience, and willingness to listen to clients and members, and respond with innovation, has led to leading-edge benefit design, tools and resources.